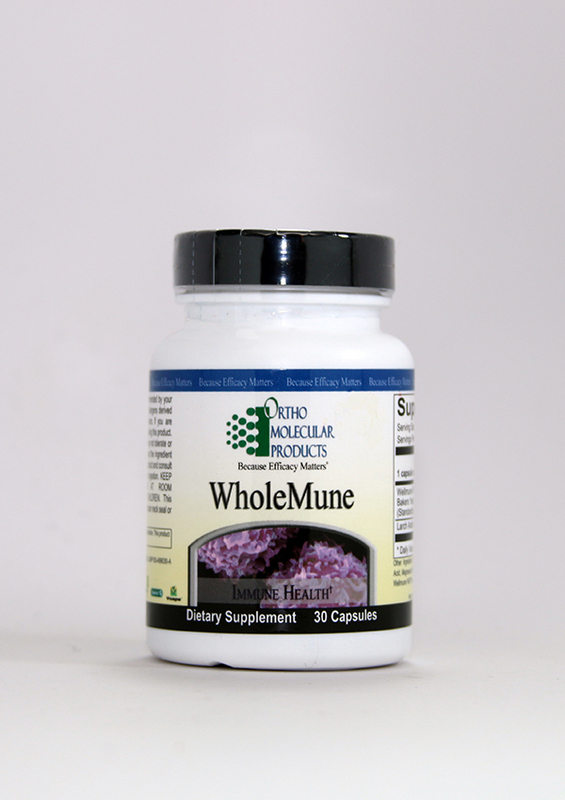 WholeMune is formulated with Wellmune WGP?, the most well-researched, single beta-glucan, proven in clinical trials to prepare and protect the immune system from repeated and ongoing stressors. Wellmune? WGP is a highly purified, yeast-free beta-glucan extract derived from Saccharomyces cerevisiae; it is standardized to contain 75% pure beta-glucan and is considered to be the most effective single nutrient to naturally prime immune cells to enhance immune function. As a dietary supplement, take 1 capsule per day or as recommended by your health care professional.